Commercial Pest Control | ABC Pest Control Inc.
For over thirty years, ABC Pest Control has been building relationships with Commercial Management firms and Businesses throughout Central Florida. These client relationships have helped ABC to become a trusted leader in the commercial pest management business. ABC’s commercial service department can deal with the problems associated with operating your business. ABC’s experience and continued education in biology, and habits of pests set ABC aside from our competitors. Call ABC Pest Control today and ask to speak with our commercial account division, and let us show you how ABC can make a difference in your business! ABC Pest Control specializes in complete interior and exterior commercial pest management including entire grounds pest management and fertilization. 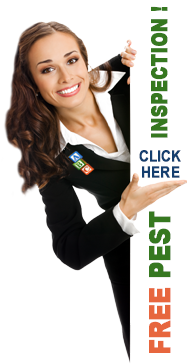 ABC Pest Control will deliver the results you and your company are looking for! The next time your business is thinking Pest Control, think ABC! And more! Call us for details!